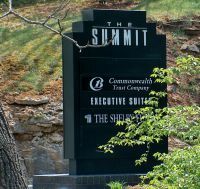 We are located in The Summit Executive Center at the corner of Brownsboro Road and Hubbards Lane. Off of the Watterson Expressway (I-264), exit at Brownsboro Road. (The Brownsboro exit is east of the Shelbyville Road exit and west of the merger of I-264 and I71.) Turn west onto Brownsboro Road. Travel about one mile to the intersection of Brownsboro and Hubbards Lane. Go through the light about 100 yards and turn left into our parking lot - The Summit. From downtown Louisville (spaghetti junction), take I-71 North (toward Cincinnati). Exit at Zorn Avenue; turning right off the ramp onto Zorn. Travel just over 1 mile and turn left at the light onto Brownsboro Road. Travel almost two miles to the interesection of Brownsboro and Hubbards Lane. Turn right onto Hubbards. Take the second right into The Summit. 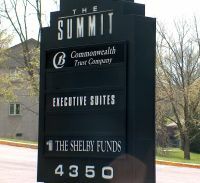 We are in the lower level of The Summit, Suite 110 - The Summit Executive Center.